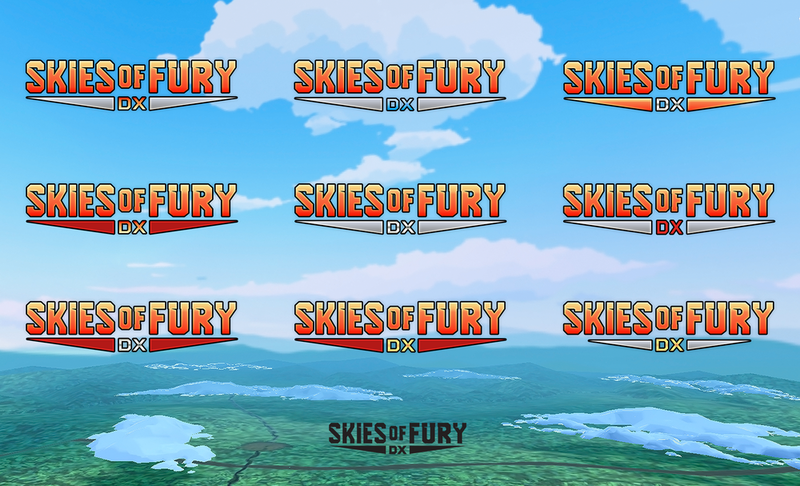 Skies of Fury is a Nintendo switch game centered around WW1 dogfighting battles. 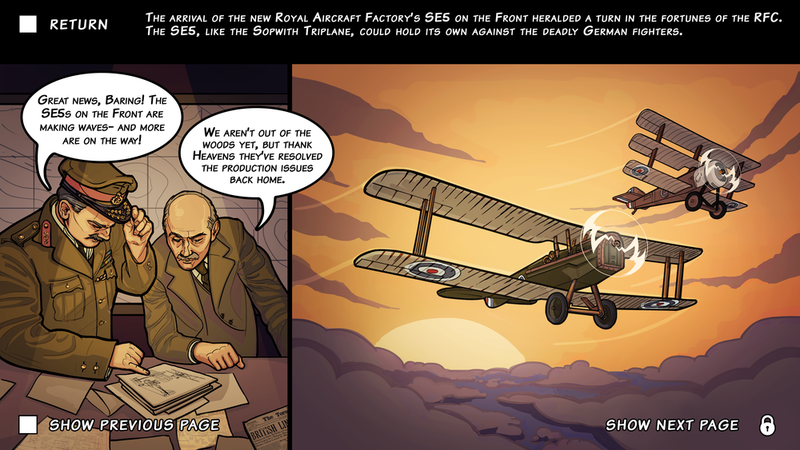 Skies of Fury offers players the chance to engage in epic, aerial combat in historic Bloody April, 1917, as both British and German pilots. The game boasts over 100 missions, multiplayer modes and unlockable story elements such as custom skins and historical comics. What began as a mobile game was soon ported over to the Nintendo Switch and improved upon in the DX version. At Seed Interactive, I worked closely with an internal development team of 10 people, as well as curators and historians from Ingenium Canada’s Aviation & Space Museum. As the studio’s sole Producer, I was responsible for facilitating team communication and agile product management. I was the main point of contact between our clients and team members. While maintaining my administrative duties, I also created poster designs, marketing art, story-reward comics, mobile trailer storyboarding/animatics and the title logo. 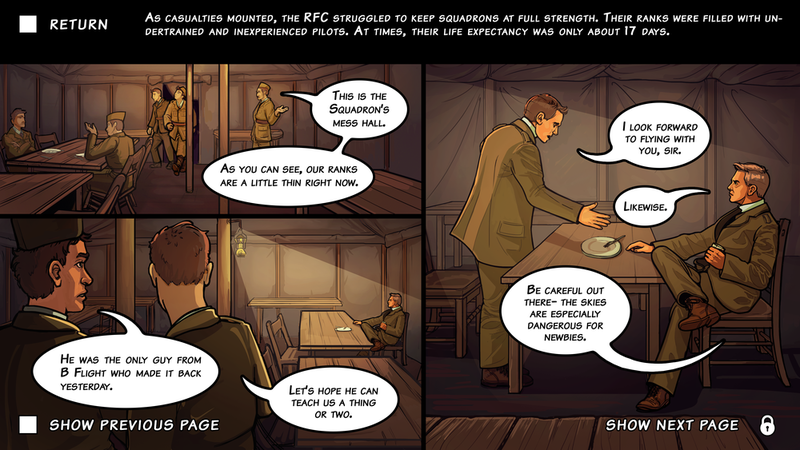 The in-game comics were a labor of love for me. Although I specialized in Sequential Narrative art in college, I had a hard time finding comic art positions that were a good cultural fit for me. One day in the studio, our existing comic artist was taken off the project, and I was asked to revise their work. This was taken on in addition to my other daily responsibilities, which involved managing 4 other game products at the same time. 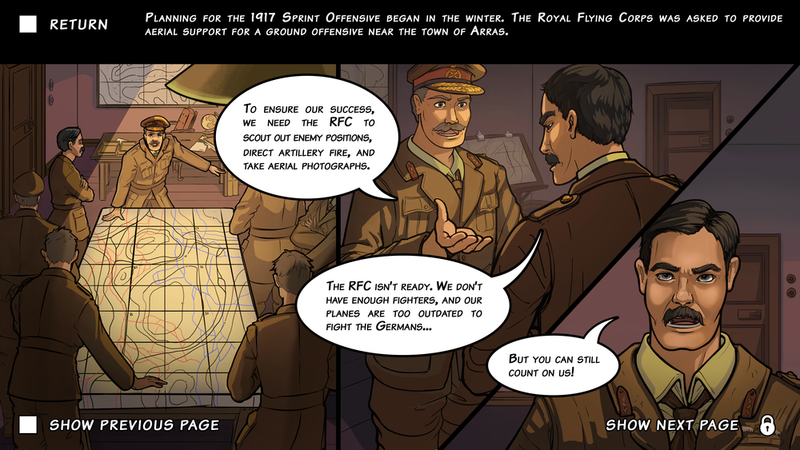 Throughout the process I liaised with museum staff to develop a script and storyboard, so it was a natural transition to refining the comics. 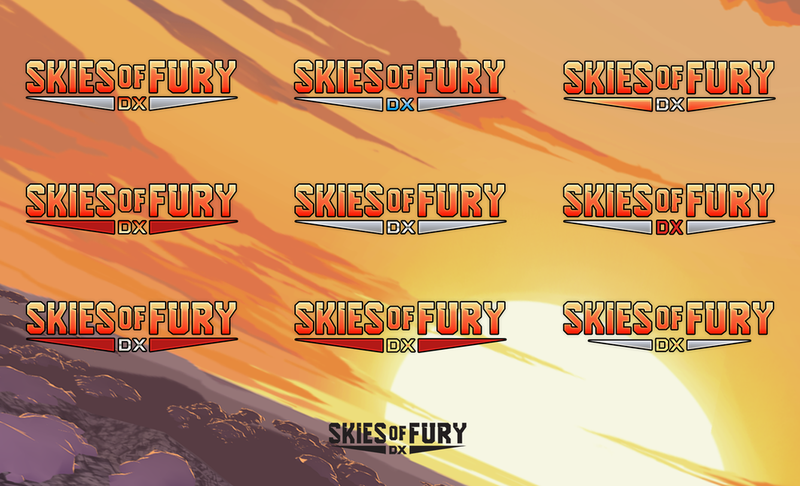 I worked with the team to create the original mobile Skies of Fury logo, so I was asked to take a pass at the SoF DX versions. I created a sheet of variations with a daytime and nighttime background, to get a sense of how the title would fit in the context of the game world. The poster was created as a marketing tool for the museum and was repurposed for the in-game title screen. Our goal was to create a poster that looked like a comic book cover, and was heavily informed by comics from the WW1 era. 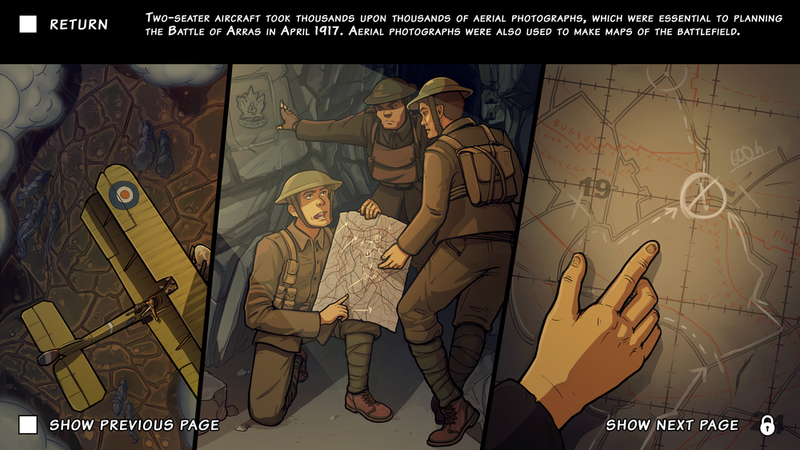 I spent many off-work hours perusing through the original Enemy Ace comics and WW1 aviation graphic novels for reference.